S/Sgt. Glen O. 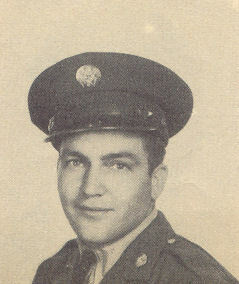 Wood, son of Mr. and Mrs. J. S. Wood, attended Port High School; husband of the former Lillie Mae Gernents. Entered Air Corps in 1940, trained in Ft. Sill, Okla., Moore Field, Texas, Chanute Field, Ill., and Oakland, Cal. ; was discharged in Nov., 1945.